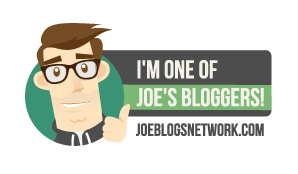 I forgot to blog….I started typing up a post on my work laptop, then I got distracted by work and it never got finished. It has all turned a bit manic in the office recently, I am being loaned out to another project on a 50% basis, which of course means I am working at about 125% across everything I need to do. This even meant I missed out on 2 lunchtime gym sessions last week. Last week my taper was underway and my weekday runs were relatively short and sweet. 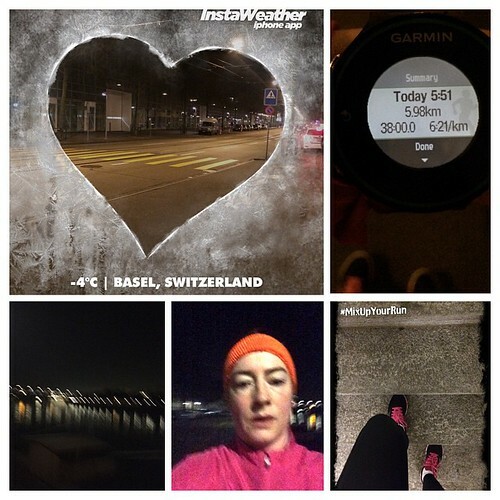 I had taken my ASICS 33-DFAs out to Basel with me and they were treated to two pre-work sessions. Tuesday was a 38 minute threshold run and Thursday a 37 minute pickup session. The 33-DFAs still felt really comfortable and running on path rather than track didn’t seem to cause any problems. I certainly didn’t feel like their low profile meant I wasn’t getting sufficient cushioning, no rattled knees or hips anyway. Thursday’s pickup session didn’t go quite to plan unfortunately. Nothing to do with my trainers, more to do with my bodily functions. I had set my alarm for 5am and drunk a coffee (cold, preprepared, supermarket coffee as I don’t have a kettle in the hotel). This normally means by the time I leave to run just before 6am that everything is nicely awake and I am a couple of pounds lighter. It didn’t go to plan but I headed out anyway. Of course about 20 minutes in everything caught up with me and I had to make a loo stop. Thankfully Basel has plentiful public loos and I always make sure I have plenty of change with me just in case this happens. The bonus on Thursday was that I didn’t even need to use my emergency tissues as the loo was fully stocked! Sunday’s long run was shuffled to Saturday as we were spending the weekend in London and wanted a lie in on the Sunday. 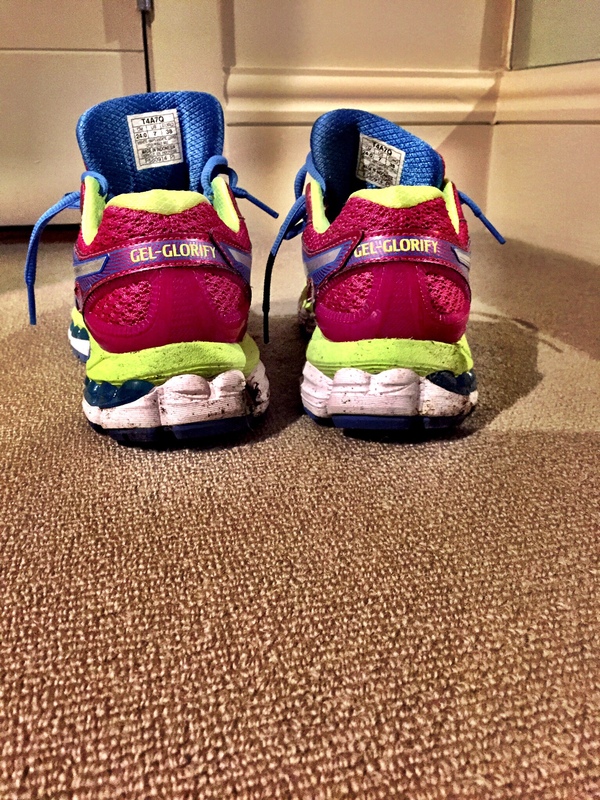 I gave the ASICS Gel-Glorify another test and they really do feel nicely cushioned. 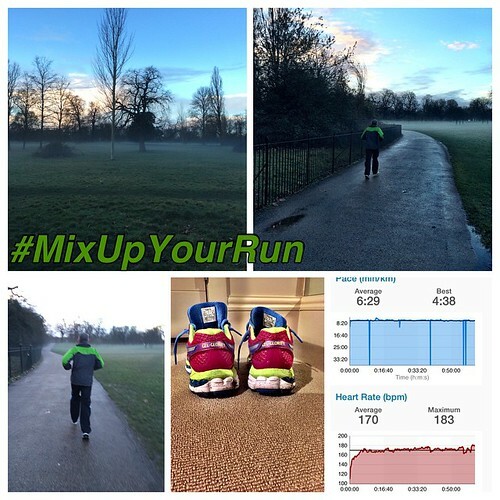 We were running in Hyde Park so it was a lot flatter that the previous week’s run, this meant there wasn’t a repeat of the toe squashing I had whilst running downhill. So there is a chance I may wear these for the Hugin Challenge after all. 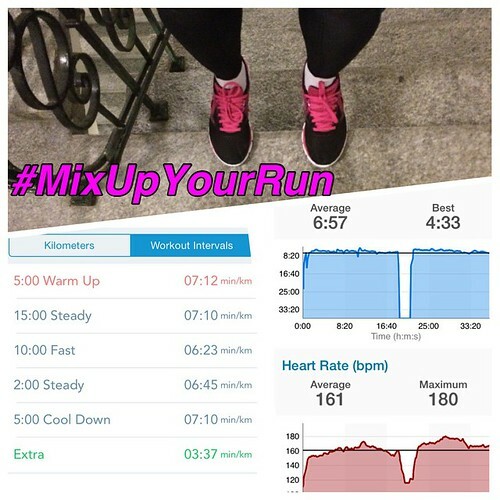 So that was 3 runs which definitely followed the #MixUpYourRun concept. 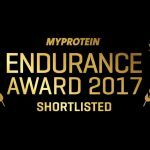 This week calls for a short threshold session tomorrow and then Sunday is race-day! I am also going to do a really slow parkrun on Saturday, just to give my legs a gentle stretch (as this has worked well in the past). To make sure I do keep it slow I have offered to do a bit of parkrun-tourist tail-running, so I am just waiting to see if they take me up on my offer.